You might want to think twice before turning to Snapchat as your bike share social media of choice — want to know why? 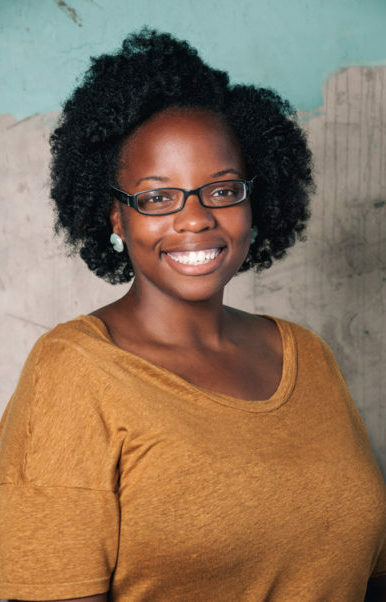 Today, Kiera Smalls of Bicycle Transit Systems (Bike Transit) talks about some of her go-to strategies when it comes to bike share outreach and engagement. 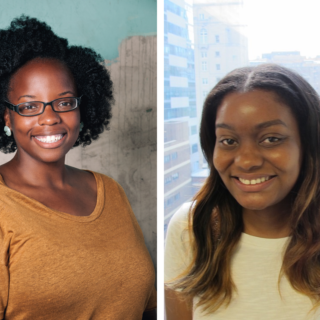 Q: Do you use a specific approach when trying to target younger folks, especially people of color, or people from lower income backgrounds? KS: Yes, we use Facebook targeted ads when trying to engage with a specific demographic. You can target age range, interests, and neighborhood. You can’t do race and ethnicity, but you can look at the makeup of certain neighborhoods and interests through public information to see who you’re really targeting. Indego’s first birthday community event is a great example. We hosted it in the Strawberry Mansion section of the city, which is predominantly Black and predominantly low-income. In order to promote the event to residents, we did some on the ground work by having the Indego street team pass out flyers to businesses, churches, and community groups surrounding the event location. We also did a Facebook targeted ad. The post received about 60 shares and over 20 comments and likes, which is huge. Another highlight was hearing attendees say that they heard about the event via Facebook. Q: How do you use Instagram and Twitter? KS: On Instagram, I use influencers who can do Instagram takeovers. The influencers generate additional followers to the brand by tapping into their network. The more people following Indego online the better, in terms of brand awareness and conversion. I ask specific Philadelphia influencers, with a larger following than Indego, to take over the Indego account to showcase their neighborhood and the beauty of the city. On Twitter, I use the platform to send out news and system updates. Users don’t just call and email their issues, they tweet them too. So it’s important to have a presence online and provide news and system updates as they develop. Q: What kind of information do you put out through your email list? Do you cross-post from social media? KS: Email content includes activities to enjoy throughout the city (while using Indego to get to them, of course), Indego products, Passholder of the Month winners, and more. We also promote education and safety classes hosted by the Bicycle Coalition. 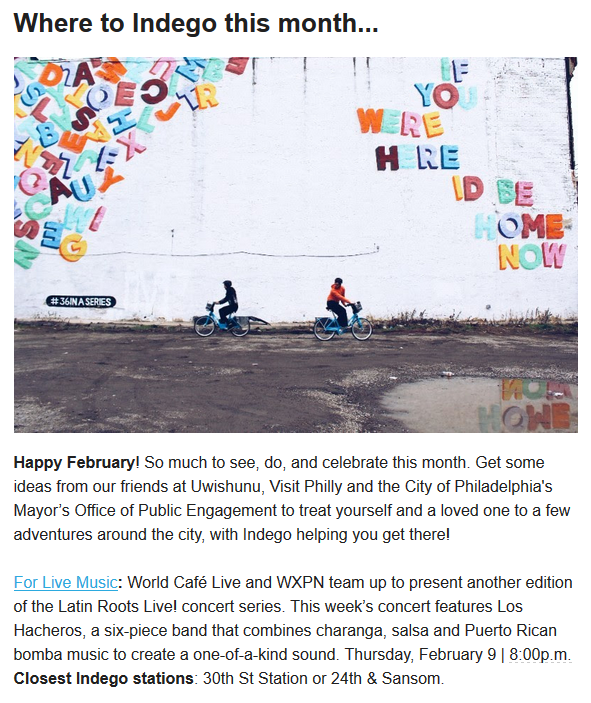 When I first created Indego’s newsletter, I really wanted content to cater to current and future users, not just current users because we want to help show the value of Indego to everyone. For this reason, we also collect emails while at events and when doing some social media campaigns. Q: Is there one platform you feel has drawn in the most overall engagement? KS: Instagram. 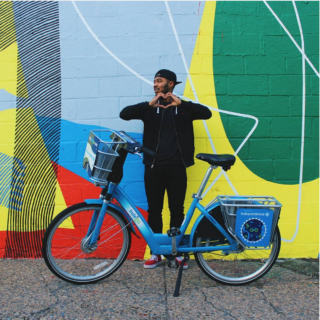 It creates an archive of beautiful imagery and allows us to make the connection about the benefits of using Indego to explore the city. 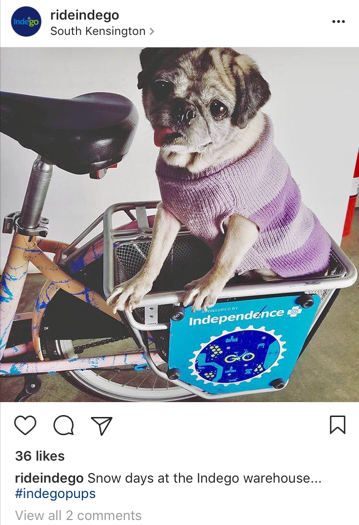 I know Snapchat is the latest craze right now but for safety concerns — such as biking while filming — Indego is not on Snapchat. Q: Have you tried any social media strategies that weren’t as successful with the population you’re trying to reach? KS: I can’t think of any at the moment. I will say that it’s important to continue to work with a diverse group of influencers, community groups, etc, so that we’re always reaching different demographics through all platforms. Q: Have you taken note of any new or emerging social media platforms? KS: Snapchat is definitely the biggest platform at the moment but again, it’s hard for Indego to want to ride that wave, because we don’t want people to think that they can snap and ride. We’re trying really hard to push out safe riding content in partnership with the Bicycle Coalition. So that’s a platform that could be counterproductive. 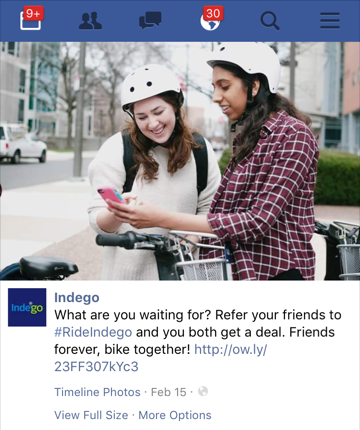 It’s definitely where all of the youth are, and Indego is cool, but at what expense? We have to think about the pros and cons of each platform that comes up. So far, Indego is just fine (and cool) where it’s at. 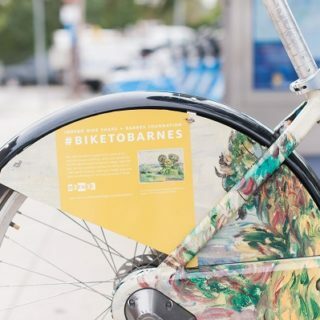 It’s fine to connect with a target audience, such as those aged 16-24 and college students, but we do so while mindful of promoting safe biking at the same time.